At Edgewood Campus School we believe that enrichment opportunities are central to developing confidence and educating the whole child. We encourage our students to participate and explore all opportunities that interest them. Gifts and talents that lie hidden in the core academic areas often flourish in enrichment opportunities. These are opportunities to engage in kinesthetic learning, to discover practical applications of intellectual knowledge, and to improve personal, social, and physical skills. Advanced musicians may be selected for the Overture Band Program Honor Band. The founders of Overture have over 30 years of combined experience teaching band in private and parochial schools in WI. All instructors are state-certified, experienced professionals. The cost of this program is billed directly from the Overture Band Program and is not included in the ECS tuition fees. Students in grades three, four, and five use the best STEM learning tools to learn code using web-based and app-based programs; program robots with micro-controllers; take photographs and videos using digital tools to create Digital Stories; produce original creations with 3D pens; discover, use and create with augmented and virtual reality; and work in a make-it-take-it station, imagining, designing, and creating. We offer Chess Scholars to students in grades three through five. No previous knowledge of chess is necessary. Each class consists of a fun, interactive teaching period and guided practice time. The Chess Scholars coach guides both new and experienced students to their next level in chess. A chess championship takes place at the end of each session. Boys' and girls' choirs are elective opportunities ECS offers to students in grades six through eight. Each choir provides training in vocal technique and musicianship, and students gain experience singing in two and three part harmony. Special attention is paid to the unique needs of the middle school voice, including the changing male voice and helping young women develop strength and beauty in their upper registers. The choirs perform at the Christmas and spring concerts, help lead all-school liturgies, and share their music in the wider community. From novice to seasoned actor, this after-school program at Edgewood College offers a well-rounded approach to children's theatre. Audition skills are introduced and refined. Creative movement, vocal control, memory, cooperation, and more are fostered through weekly theatre games. Participants develop and create sets and props during their downtime from rehearsal. And of course, all the fun culminates in a fully-costumed performance where they can't wait to show off all they've learned! Students in grades one through eight are welcome to participate. The spring 2019 production will be Ferdinand, the Friendly Bull. Students in fourth or fifth grade can participate in our Global Inventors course. In this after-school class they learn about 3D printing and how to use Computer Aided Design (CAD) software to create and print designs. Students exchange video messages with a partner student who lives in a developing country. Together these student teams identify and learn about a global issue, and then collaboratively design, print, and test inventions to help solve that issue. Participants learn the engineering design process, while also learning about their partner student and that student’s country. Guitar Stars teaches the fundamentals of guitar to beginners as well as continuing students in grades one through eight. The students learn to play exercises and songs that help them progress and have fun. Continuing students learn to play chords and improvise with the group. Edgewood Campus School will provide the guitars. Knitting club is for students in grades 4-8. It is a weekly gathering where participants knit and socialize! Students need not know how to knit to join. Learn something new about fiber arts every session. The Campus School Leadership Council is an elected board of two student representatives from the fourth through eighth grades. They are responsible for keeping communication lines open with the student body and are the voice for ECS students. Students, teachers, and administrators make suggestions together to help improve our school. Their mission is to lead all students in service, social, and personal growth. Students participate in fundraisers for various charities and for school improvements. The Leadership Council supports and promotes the annual Tanzania Walk, a fundraising event for St. Therese of Lisieux, in Dar es Salaam, Tanzania. Leadership Council encourages students to share their special gifts and talents during the spring ECS talent show. The students in this council plan, promote, and emcee a wonderful showcase of student talents. Examples of performances include gymnastics, dance, comedy, and musical performances. Our Leadership Council heads the Spirit Day celebration held during Catholic Schools Week–the most anticipated week of the year! The council plans and organizes games, skits, cheer contests, and a pep rally. This class takes a hands-on approach to engineering, allowing students to directly engage with basic engineering concepts through a variety of fun and educational activities. Students will improve their problem solving, math, and physics skills – all while engaging in exciting building projects. Each trimester-long unit will focus on a specific area of engineering. These areas include flight, bridge building, and tower construction. No previous experience is necessary, just a desire to learn and build. Each student will receive an award on the last day of the session, and the student will have the opportunity to earn energy belts to demonstrate their learned skills! Students will have a blast in this exciting new STEAM program. This innovative approach to coding is sure to spark interest in computer science. The fun filled curriculum stresses critical thinking, creativity, confidence, teamwork, and problem solving skills to prepare them for the 21st century and beyond. Class topics include video game design, loops, control structure, conditional expressions, control statements, object oriented design concepts, data structures and variables, and mathematical expressions. Our safety patrol crew consists of fourth and fifth grade students that go through training and pledge to keep Edgewood Campus School students safe on their arrival to school in the morning. 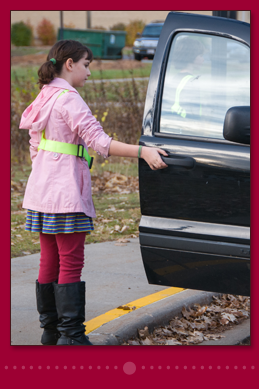 Each morning, the patrol is responsible for helping students and their belongings get out of their vehicles and guide them to join their classmates in designated waiting areas in the morning. Some patrol members are the door holders and greeters for the morning. Patrol members must arrive at school by 7:40 a.m. on the mornings they have duty assignments. Science Olympiad is one of the premier science competitions in the nation, providing rigorous, standards-based challenges to more than 7,300 teams in 50 states. Science Olympiad's ever-changing line-up of events in all STEM disciplines exposes students to practicing scientists and career choices, and energizes classroom teachers with a dynamic content experience. At Edgewood, we field a team for students in grades six through eight. During the year, students work to master three to four STEM challenge areas, then compete in events built around those challenge areas at the regional and state levels. This group provides students with a terrific opportunity to drill deep into an area of passion and fascination in all areas of science and engineering. Science Olympiad Jr. is an after-school science and engineering club for students in grades four and five. Each week we investigate, experiment, design, build, and test. Some semesters we concentrate on a theme (such as rockets) and other semesters we try something new each week. Our goal is to give participants fun, interesting, intriguing, challenging, and motivating experiences with science and engineering. Together we learn, create, and share. Edgewood College Elementary Education majors work with Edgewood’s K-16 Science Director to plan and conduct the weekly activities. Smart Start Art is an enrichment class offered to students in 5K through three. They discover their creativity and imagination as an artist developing fine motor skills, style, and vision as they explore different artistic techniques through a variety of projects. Students sketch and draw, cut, glue and fold, and learn about great artists from history and present day. No experience is necessary. Students in seventh and eighth grade produce and perform a musical each spring. This experience is part of the music curriculum. Along with singing, acting, and dance performance opportunities, students participate in set-making, costume design, and stage crew. This class production is a wonderful opportunity to work together and support each other as students demonstrate their individual gifts, talents, and abilities.